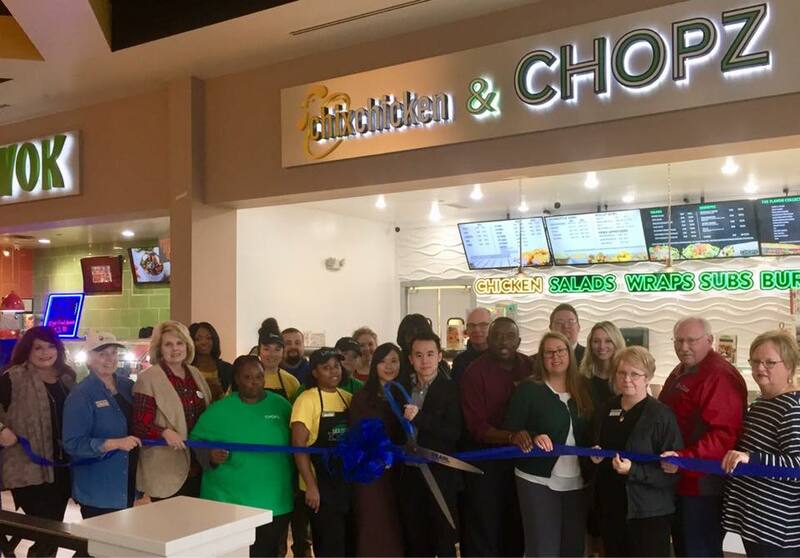 The Pearl Chamber held a Grand Opening & Ribbon Cutting Ceremony on Friday December 14th at Chix Chicken & Chopz in the Food Court at the Outlets of Mississippi in Pearl. They offer delicious bone in fried chicken as well as chicken tenders and several sides including the popular sugar and cinnamon coated biscuit bites and fried potato logs. Chopz has a large selection of fresh bread, deli meats, salad fixings and cheeses for you to select from for your sandwich or salad. They take catering orders for large or small events. Their hours are Monday - Saturday 10-9 and Sunday from 12-7.